You may apply for a license at the Register of Deeds Office in any NC county up to 60 days in advance. It does not have to be in the same county as the wedding, although that can be helpful. No tests are needed, but you do need photo ID, physical Socal Security Card, and $60 (cash recommended). The cost is set by the state. After the wedding, your officiant or planner returns the signed license back to them. Your official marriage certificate should be available within 1-2 weeks. (For $10 more you can pre-pay to have them mail you the official marriage certificate.) Any ordained minister can perform the ceremony. (See our blog for additional information about ministers) Note: If your honeymoon destination requires proof of marriage to guarantee their newlywed rates, take a copy of the signed marriage license with you. For Asheville, Biltmore, Black Mt, Fairview, Leicester, Weaverville, et al. Canton, Lake Junaluska, Maggie Valley, Waynesville, et al. Flat Rock, Fletcher, Hendersonville, Mills River, Saluda, et al. Cashiers, Cullowhee, Dillsboro, Sylva, et al. Mars Hill, Marshall, Hot Springs, et al. Marion, Nebo, Old Fort, et al. Lake Lure, Rutherfordton, et al. 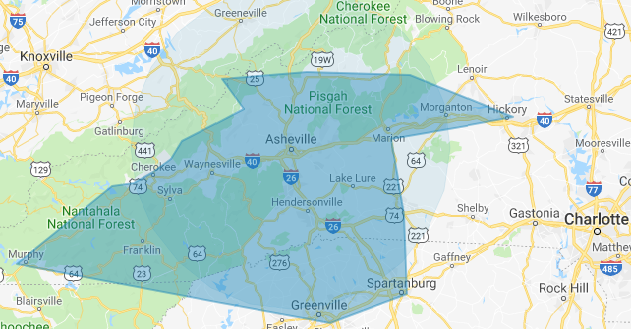 Brevard, Lake Toxaway, Sapphire, et al. Any person ordained by a real church, synagogue, religious association, or non-religious institute, one that has a physical address that can be verified, can perform a marriage ceremony in NC. Courthouse magistrates may perform ceremonies, but they do not leave the courthouse or jail to do so. The officiant, minister, or celebrant does not need a license or certification from the state. Online ordination services qualify only if they have a physical office address that the registrar staff can contact if they need to get in touch with the officiant. These are links to our preferred non-denominational ministers and officiants who perform religious or non-religious ceremonies, whatever you prefer. Group of retired ministers dedicated to serving people of all faiths. Group of experienced officiants familiar with a wide variety of religious and non-religious traditions. See our blog for additional advice about choosing a minister. ​You can apply for a license in any SC county, but it's best to do it in the county of the wedding. The bride and groom should go to the County Probate Judge's office to fill out an application for a marriage license. After 24 hours, they mail your license or you may return to pick it up. Since it takes a few days, it's best to do this well ahead of time. They never expire. Prices and requirements vary by county, but all require a photo ID, original SS Card or passport, and cash. Costs range from $35-$100. Any minister of the Gospel, rabbi or notary public can perform the ceremony. (Probate judges may perform the ceremony at the courthouse if you make an appointment ahead of time. Their fees range from $10-$100.) Mail the signed document back after the ceremony, then allow about a week to request a certified copy for your records. There is also a charge for this ($5-$25), so ask about it at the time you get your marriage license and make sure to get the address you need to mail it to. It's not always printed on the license form.